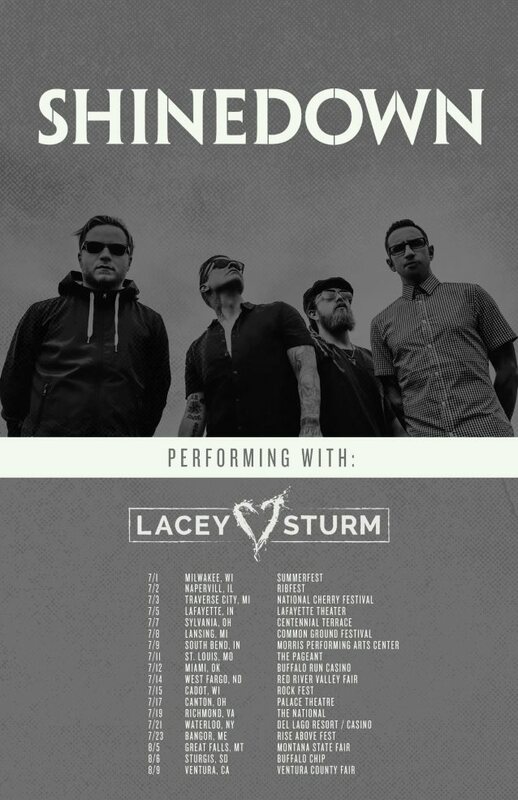 SHINEDOWN will hit the road in July with support from former FLYLEAF singer Lacey Sturm. SHINEDOWN's "How Did You Love" in February moved into the No. 1 position on Billboard's Mainstream Rock Songs airplay chart, marking the eleventh time the Florida rockers had topped the list. "How Did You Love" is the fourth single from SHINEDOWN's fifth studio album, "Threat To Survival", and the third No. 1 from the disc. Previous chart-topping singles from "Threat" were "Cut The Cord" and "State Of My Head". As previously reported, SHINEDOWN has officially started working on its sixth studio album and frontman Brent Smith said that the project may take a surprising turn. 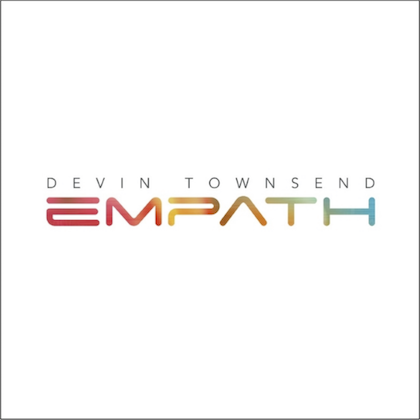 He explained: "Bassist Eric Bass actually has 22 pieces that I actually just heard five of them for the very first time." He added, "What he has written — and it's not lip service, man — what he has tapped into here, it's quite remarkable. 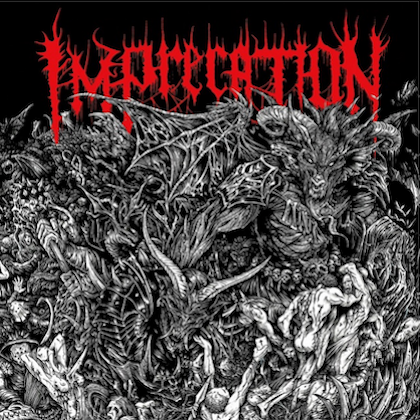 I think people might be looking at the first legitimate concept record from the band." 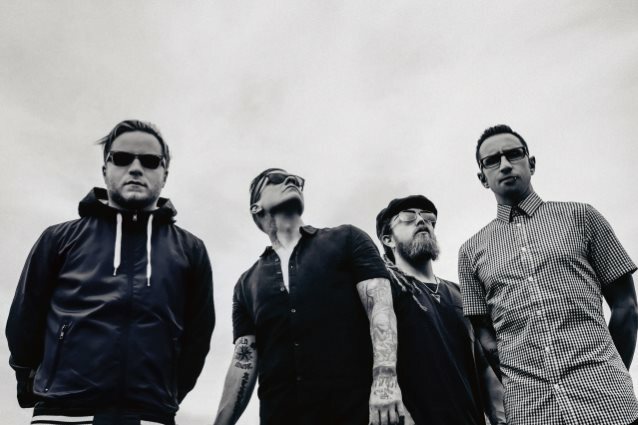 Asked whether SHINEDOWN could end up with a 22-song double album, Smith replied: "I can't guarantee that all of the song ideas will make the record. 'Cause we haven't done that in a while, where I come in and I actually have a lot of music already ready for me to listen to… It's inspiring. And it's cool, because [Eric] was inspired every day, and you can hear it in the music." SHINEDOWN is currently touring Europe as the support act for IRON MAIDEN. 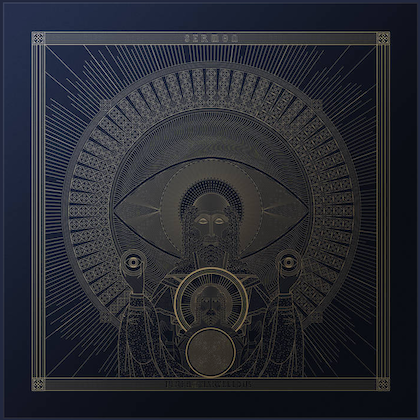 Sturm's debut solo album, "Life Screams", was released in February 2016 via Followspot Records with The Fuel Music distribution. Writing alone, as well as with husband/guitarist Josh Sturm, SKILLET's Korey Cooper and Grammy Award-winning writer and producer David Hodges, Lacey created a record that is the sonic successor to FLYLEAF's celebrated self-titled debut (which spent a staggering 133 weeks on The Billboard 200 chart).